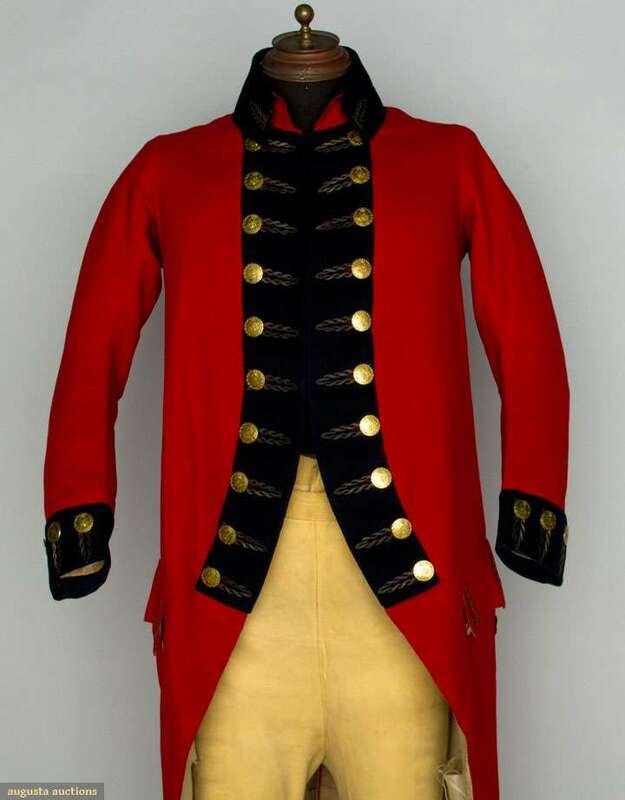 Red wool broadcloth cutaway coat, blue facings, high stand collar, gold bullion embroidery, gold etched buttons w/ "Brittania" insignia, Ch 40", L 47"; tan buckskin breeches, fall front, below-knee length, back laces, self-covered buttons, W 32", Inseam 18", excellent. Provenance: Thomas McDonogh, appointed first British Consul to New England in 1790. In 1794 a portrait of McDonogh was painted wearing this suit of clothes.